Easily login into your customer accounts from frontend with their email and a secure master password or by clicking a link in the admin customer section without knowing password. 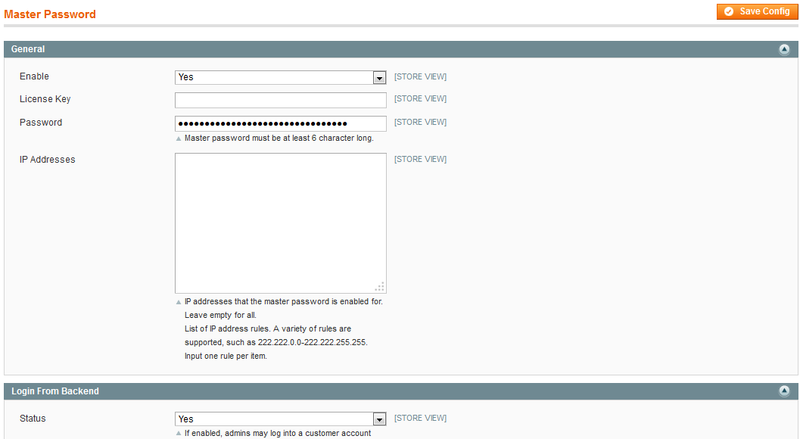 The password is defined and saved from backend system configuration. 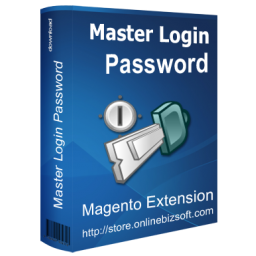 Master Login Password for Magento enables you to login to customer accounts with a global "master password" or through the Magento administrative area via a "Login As" button on the customer information page. This allows you to make changes to customer accounts on behalf of customers even if such functionality is not available in the administrative area. Perfect little extension enabling easy managing customers as themselves directly from frontend. Does exactly what it says in a simple manner. Easy install within 2 mins. Hats off! Simple but very useful extension, just 2 mins installing and works properly.